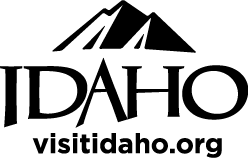 The University of Idaho President and local contributors host this annual dinner to recognize veterans, military and their families from around the community. The program will include a joint color guard, guest speaker, POW/MIA recognition, and social opportunities. Doors open at 5:30 pm. Program and dinner begin at 6pm. Please RSVP by November 7 to confirm attendance. The event is free to military and veterans who RSVP and one guest. $10 for additional guests and all who attend without RSVP.